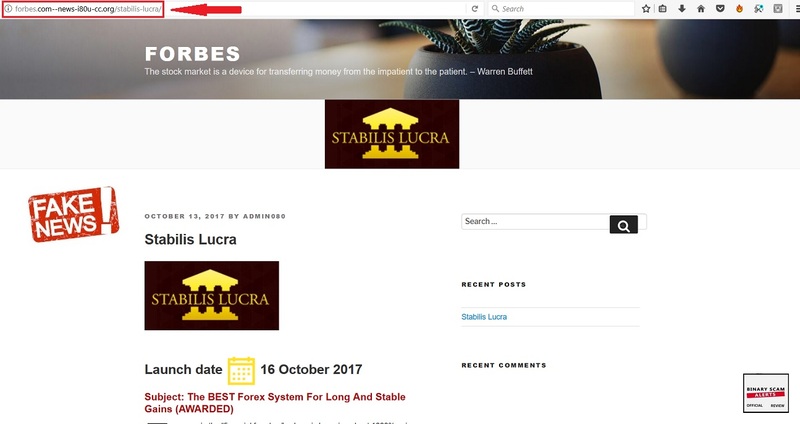 Binary Scam Alerts » Forex Scam Reviews » Stabilis Lucra Review, Stabilis Lucra SCAM Exposed With Proof! The Stabilis Lucra SCAM is a fake, BLACKLISTED Forex Robot and Expert Advisor (EA) by David Jukl and Andrew Nathan. In our impartial and factual Stabilis Lucra review and investigation we will produce conclusive and indisputable evidence that will prove to you that the main problem with this system is the fact that it is almost identical to previous binary options and Forex scam software. Make no mistake! This is an extremely misleading, deceptive, and sophisticated SCAM, because David Jukl is actually a real person with credentials and a social profile which indicates his identity is real and not fictitious. That being said, we know who the crooks pulling the strings behind this recent mega launch are. These are a very savvy bunch of internet marketers who somehow latched on to this Forex Robot programmer and convinced him to endorse their fake app. This could be through a revenue share scheme or just a flat payment in the form of a bribe. Its also highly probable that Jukl is just a greedy scam artist who happens to look innocent and sincere, but in reality he doesn’t mind cooperating with the crooks behind the scenes and in this context tarnish his name and reputation. Some people are just unethical, but that is now their problem and they will have to deal with it. The fact is that there is nothing legit or genuine behind the Stabilis Lucra SCAM, and it is an over-glamorized, extremely hyped-up, and glitzy version of the BTC robot and similar Forex scams we have seen in the past. You must know that the Stabilis Lucra software and Forex trading app was designed with pure malice and in a very calculated and professional manner. The app’s true intent is to bait and defraud would-be traders and opportunity-seekers looking to cash in on a legit Forex Robot. Sadly, if you join this program your money will surely be stolen by rogue brokers and unregulated Forex and CFD brokers who will manipulate you into investing all your money and then steal it in the blink of an eye. Due to the amount and nature of complaints we received, we now know for a fact that these rogue offshore brokers are conspiring against you and are out to fleece your wallet. Our rigorous fact-checking process has verified this, and we know this to be true and extremely disturbing. It’s also worth pointing out that the promoters of the Stabilis Lucra software prefer using SPAM email marketing techniques and fake news pages (see example below) to entice unsuspecting victims. So please refrain from clicking on any links and make sure to unsubscribe from receiving additional emails. Keep reading our Stabilis Lucra Review and see how we exposed these thieves and why we believe Stabilis Lucra is a confirmed investment SCAM. Official Website, Login Page, and Members Area: https://stabilislucra.com/? Below is a screenshot taken from the Stabilis Lucra main sales page. In it, you will clearly see that they are boasting their expert advisor “has not lost in the past 3 years”. That is more than the usual hype, its just a blatant lie and completely impossible. Even the best systems with the most impeccable reputation and most consistent gains absorb losses from time to time. The most gullible and insulting lie is to try and convince would-be customers that there is no risk and that all wins are guaranteed. This is the ultimate scam tell sign and we don’t need anymore proof or evidence to deduce that we are being led awry. The sales video starts off by immediately focusing on David Jukl who presents himself as a software developer which specializes in Forex Robot design and programming. He continues to say his apps are actually making “quite nice profits”. That is when Andrew Nathan enters the picture and starts to lay it on really thick about how much money this software is really making. Nathan claims he partnered up with Jukl when the met during the China Forex Expo at 2016, and that was when he realize Jukl was a “hidden humble talent” who has the ability to develop Forex profit machines that never lose. According to the story Jukl was hesitant at first but eventually gave in and since then Stabilis Lucra (meaning stable or consistent profits in Latin) has taken off and won the prize for the Best Expert Advisor Performance Reward for 2017. He continues to say that consistency in performance of his Forex Bot is the key to it’s success, and consistency in the Forex industry is rare as “hen’s teeth”. Many claim they have access to the best FX Robot, but only David Jukl is the man who is able to develop “real gems” and adapt them to the changing markets so they keep performing. But this was no overnight success, and we all know consistent profits “is the holy grail in money management”, so it took them over a year to tweak it and finally it’s out and generating massive profits for all its members. David Jukle is a real person who was either coerced or bribed into endorsing Stabilis Lucra. He has a real social profile and was interviewed in various Forex Expos as an industry-leading Forex EA programmer. Here you can see him talking about the EA Bratislava Software and here is his social profile on LinkedIn which is active and real. He is either a willing co-conspirator or alternatively someone who was threatened to play a role. Either way his reputation is really being tarnished here because we have already started to hear complaints about people losing money. How Does Stabilis Lucra Forex Robot Work? The system works by adapting to market conditions and then executing trades accordingly and in a speedy and efficient manner. It is a hand-off Forex app which trades on auto-pilot. Absolutely not! This thieving software will cost you $490 just to use the software. That is regardless of what you have to pay the broker in order to fund your trading account. One has to point out that there is a refund policy here and in this context we find it to be a useful thing, however this has nothing to do with your broker account and we suspect that is where the real money will be stolen. This is a very carefully planned SCAM. We have all the classic tell signs such as hyped-up and exaggerated claims of easy money, inflated bank accounts, and fake or no testimonials. We also see tall tales and promises of no-risk or guaranteed wins, fake proof of wins, and all of that is veiled by the personality of someone who obviously has a solid reputation in the online Forex trading industry. In short, stay away this is an extremely effective deception. 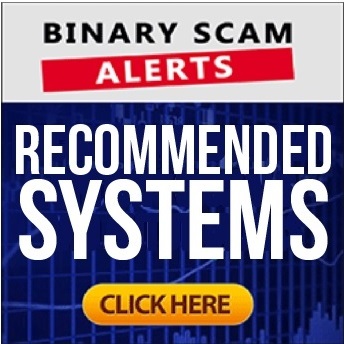 The ones to watch out for are Bitcoin Code and Binary Robot 365. Forex EAs, Signals, Crypto Apps, and Auto Traders – We Have it All! We understand you are not quite sure about how to proceed, so please take a minute and browse though our recommended section. We actually tested all the systems and they are consistent money-making machines. Feel free to sign up and check it out for yourself. The Stabilis Lucra SCAM is blacklisted because we found conclusive and indisputable proof that it is a fake Forex Robot and Expert Advisor (EA). David Jukl seems to be genuine and legit, however his personality and sincere demeanor is being used in an extremely manipulative way. We don’t even know who Andrew Nathan is, or what he is gaining out of all of this. We do know that this scam is going viral and complaints are piling up by the dozens. In short, we are witnessing another SHAM which is very well disguised and has all the dazzle, finesse, and polished exterior one sees in very highly organized and orchestrated get-rich-quick schemes. The narrative is very innovative as well, but still these fraudsters always cling to the same patterns which give them away at the end. In short, this is a fraudulent software designed to steal your money so we Blacklisted the Stabilis Lucra Forex Robot and trading app. Don’t forget to join our Facebook Page and subscribe to our YouTube channel.